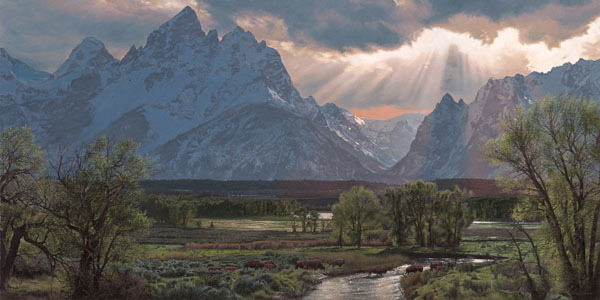 Philbeck travels out West to paint an outstanding image of the Tetons. In this Western panorama of amazing sky and magnificent mountains, several bison, the monarchs of the plains, are seen crossing a stream running through a secluded valley. "Buffalo Crossing" is one of the artist's most astounding landscapes.